Your rig is your business. Fife Service & Towing understands that. Our trucks are our business too. When you need assistance, we have the experience and equipment to help. 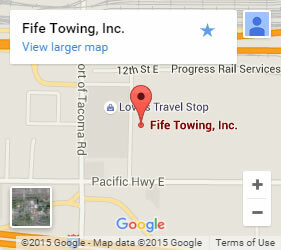 We are the number one choice to call for the best semi-truck towing in Puyallup and the surrounding areas. We are your full-service solution for semi-truck roadside assistance and towing. Our 24-7, 365-day service means we are here when you need us. Our large fleet means we have someone close by and ready to help. From minor concerns, like a lock-out or flat, to major issues, like getting stuck in the mud, we are the solution. Call now. We’re on our way! Too many things can be made worse by an inexperienced towing company or inadequate equipment. Don’t wait around for another service to arrive. We offer over 6 decades of towing experience. We are a family-owned and operated business, and we have built up our reputation for fast, accurate service one customer at a time. 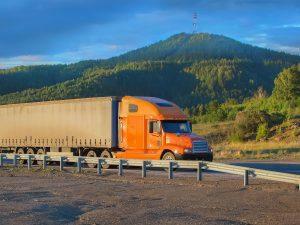 There is a reason people rely on us for semi-truck towing in Puyallup.